After using any PC for any significant time, you’ll notice the system encountering more errors and slowing down more and more compared to when you first used it. Many problems on Windows are caused by Registry errors, which can wreak havoc with your system if left unchecked. 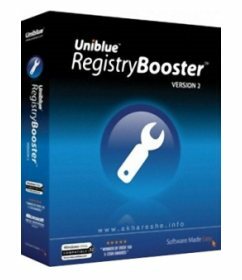 Uniblue’s Registry Booster 2010 is an easy to use, simple solution to this problem with a light footprint on your system. When you choose to run a scan, you’re presented with an incredibly easy to understand interface, showing you a chart of the damage level (low, moderate or high) in each scanned registry section. If you’re a more experienced user and want to view more details about the problems found on your machine, you can switch from summary view to a detailed view which offers a brief explanation of each registry error found. When you select to fix the errors found, a backup of your registry is automatically created before any changes are made to your system. This is a crucial feature for any application that has access to key system files, and means that in the unlikely event of a problem being caused, you can choose to restore from previous registry backups. Obviously, you might ask whether you need to be using something like this, when it comes to Windows registry cleaners, it all depends how you use your computers, if you’re regularly wiping your systems and re-installing your Windows installation, then you may not need to be using one. However, if you keep the same Windows 7 (or earlier version) on your computer for any length of time (or never re-install Windows), then registry errors might affect your computer. 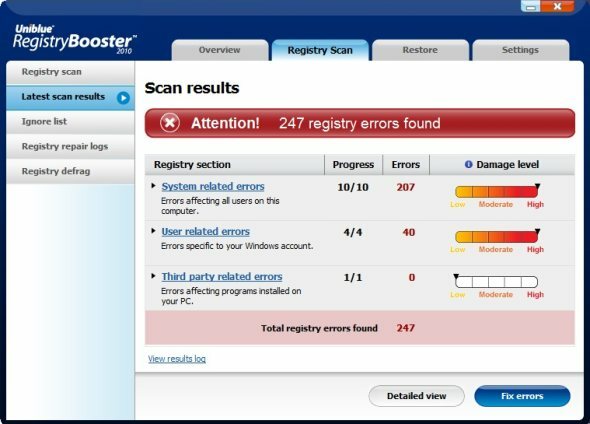 Although there are free alternatives available to Registry Booster that do a similar job, I found Registry Booster 2010 to be more comprehensive when finding errors on my system, outperforming other alternatives on the market quite significantly when testing side by side. If you’re looking for an effective, simple and easy to use registry scanning application, you should look no further than what I believe is the best software of its kind currently available.